A redirect is a way to send both users and search engines to a different URL from the one they originally requested. This way will help prevent any of those annoying, user experience 404 message. Redirects are an essential key to site owners, developers, and of course, for SEO. Here are some of the common questions that we get asked all the time. 1. 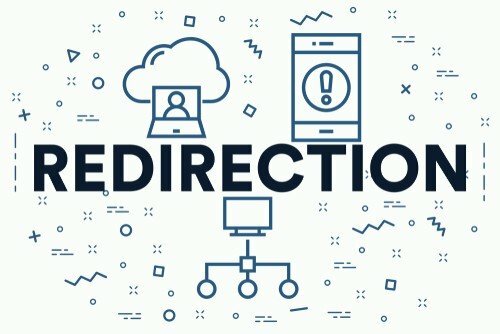 Are redirects bad for SEO? It depends how you utilize redirects if you do not implement them correctly; redirects can potentially affect your PageRank and web traffic. When it comes to making any changes to your URLs, redirecting is highly important as you don’t want to lose the quality of your work. 2. Why should I redirect a URL? If you are looking to delete or make changes to an old article, it is best to redirect that old URL with a 301 to a relevant new article. It’s essential to maintain SEO value and prevent 404 pages from appearing to your users. 3. What is the difference between a 301 and a 302 redirect? A 301 is a redirect that carries and distributes in an absolute manner, meaning you are sending out a message to crawlers that you have permanently moved your content from one page to another. A 302 redirect is considered a temporary change and is not cached or saved, therefore, it is not considered as necessary by a search engine. 4. Is there a redirect checker? It’s always reassuring to have your work double checked, that’s why there are plenty of helpful tools available to give you that peace of mind. Sites like Sitebulb, Ahrefs, and Screaming Frog are among the most popular tools to test and inspect any issues with your redirects and links. Another handy tool for Google Chrome users is Redirect Path extension. 5. Still have questions about redirects?